Paramount Pictures, a division of Viacom, Inc., and Warner Bros. Pictures announced today that principal photography on “INTERSTELLAR” is officially underway in Alberta, Canada. The film will be released in IMAX® and 35mm theaters on November 7, 2014. Paramount Pictures will distribute domestically, Warner Bros. Pictures internationally (including the Philipines). Directed and co-written by Christopher Nolan (“Inception,” “The Dark Knight” Trilogy), the production will travel the globe and utilize a mixture of 35mm anamorphic and IMAX film photography to bring to the screen a script based on the combination of an original idea by Nolan and an existing script by Jonathan Nolan, originally developed for Paramount Pictures and producer Lynda Obst. The new script chronicles the adventures of a group of explorers who make use of a newly discovered wormhole to surpass the limitations on human space travel and conquer the vast distances involved in an interstellar voyage. 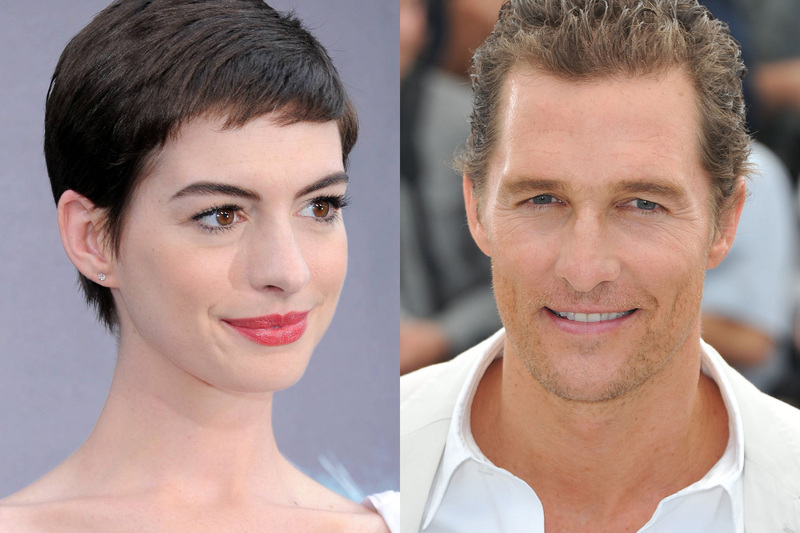 “Interstellar” features a prestigious cast that includes Matthew McConaughey (“Magic Mike,” “Mud”), Academy Award® winner Anne Hathaway (“Les Miserables,” “The Dark Knight Rises”), Academy Award® nominee Jessica Chastain (“Zero Dark Thirty,” “The Tree of Life”), Bill Irwin (“Rachel Getting Married,” TV’s “CSI: Crime Scene Investigation”), Academy Award® nominee John Lithgow (“Terms of Endearment,” “Rise of the Planet of the Apes”), Academy Award® nominee Casey Affleck (“The Assassination of Jesse James by the Coward Robert Ford,” “Gone Baby Gone”), David Gyasi (“Cloud Atlas”), Wes Bentley (“The Hunger Games”), Mackenzie Foy (“The Twilight Saga: Breaking Dawn – Parts 1 and 2”), Timothée Chalamet (TV’s “Homeland”), Topher Grace (“Spider-Man 3”), David Oyelowo (“Jack Reacher,” “Rise of the Planet of the Apes”), Academy Award® winner Ellen Burstyn (“The Last Picture Show,” “The Exorcist”), and Academy Award® winner Michael Caine (“The Cider House Rules,” “The Dark Knight” Trilogy). The film is being produced by Academy Award® nominee Emma Thomas (“Inception,” “The Dark Knight” Trilogy) and Lynda Obst (“How to Lose a Guy in 10 Days,” “The Siege”). Renowned theoretical physicist Kip Thorne is consulting on the film as well as serving as executive producer, along with Jake Myers (“Jack Reacher,” “RED,” “RED 2”) and Jordan Goldberg (“Inception,” “The Dark Knight” Trilogy). The behind-the-scenes creative team includes director of photography Hoyte van Hoytema (“Tinker Tailor Soldier Spy,” “The Fighter”), Academy Award®-nominated production designer Nathan Crowley (“The Dark Knight” Trilogy), Academy Award®-nominated costume designer Mary Zophres (“Gangster Squad,” “True Grit”) Academy Award®-nominated editor Lee Smith “The Dark Knight” Trilogy,” “Elysium”), Academy Award®-winning composer Hans Zimmer (“The Lion King,” “The Dark Knight” Trilogy), and Academy Award®-winning visual effects supervisor Paul Franklin (“Inception,” “The Dark Knight” Trilogy).